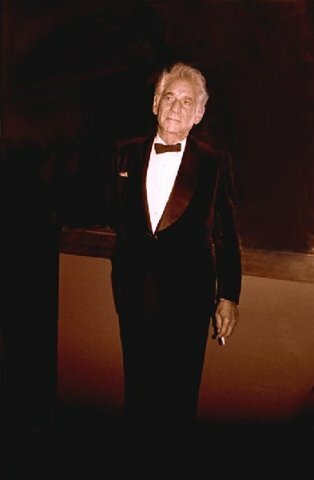 There will be a season long celebration of the 100th birtday of Leonard Bernstein at Tanglewood. Giuliano photos. Some years ago there was consternation when the rock band Wilco with a primarily middle-aged, urban folk following, blew the roof off the shed. The dignified mostly senior ushers could do nothing to prevent fans from clogging aisles to get close to the stage. The sweet smell of ganga wafted in the breeze over the hallowed ground of Tanglewood. There was lively outraged debate in the Berkshire Eagle about preserving the integrity of classical music. Wilco hoped to be regular performers but the powers that be thought otherwise. They have since found a home with the more or less biannual Solid Sound Festival that draws capacity audiences during weekends at MASS MoCA on its Joe Thompson Field and in its courtyards. Wilco has proven to be a great partner and shot in the arm for the tourism and hospitality business of North Adams. Several iterations of festivals have gone off without a hitch. MoCA also added an annual post Labor Day Fresh Grass folk festival as well as the long running mid season Bang on the Can series. When the sweet smoke cleared in Lenox there was some pragmatic soul searching. Like all purveyors of strictly classical music the Boston Symphony Orchestra is struggling to attract a younger audience. There is an ever aging and declining audience for the old chestnuts. In any given summer program there are only so many classical blockbusters to beef up the bottom line. The series of concerts by friend and neighbor, James Taylor, generally on or about the July Fourth holiday weekend, has led to sold out events. That’s been money in the bank for the BSO which led to strategies to build on that base. In the past few seasons, with some experimentation and beefed up security, that has led to an expansion of the shoulder seasons before and after the residence of the BSO. The trick has been how to expand popular artists programming while keeping the lid on the Shed. That has led to an infusion of dinorock with performances of a string of AARP eligible over the hill, long past their prime, rock stars. It is a way of playing it safe by attracting large but hardly threatening audiences. Mostly that’s been a win win for management as well as audiences. What’s not to like about performances that have run the gamut from Dolly Parton and Brian Wilson, Lady Gaga paired with Tony Bennett, Earth Wind and Fire, Joan Baez, Crosby, Stills & Nash, Pete Townshend and Quadrophenia, Sting, Dylan and Boz Scaggs to mention some of the highlights. Given the enormous fees charged by such stadium acts it is likely that, other than the Taylor gigs, it hasn’t been about making lots of money. Acts can demand as much as 90% of the gate. In general, just like at the movies, venues make profits through concessions and for stadiums, charges for parking. Tanglewood provides free parking and its concession sales are paltry as fans on the lawn come with their own picnics. James Taylor and his band will likely sell out performances July 3 and 4. By agreement with the town of Lenox, since 2002, sales for concerts are capped at 18,000. Previously Taylor and the Pops set the attendance record of 24,470. Lively shoulder seasons, however, create excitement and momentum to launch or sustain programming. It is argued that the Popular Programs introduce the Tanglewood experience to “younger” audiences. The hope is that they will return for Beethoven, Mozart, Mahler and Wagner. As has been reported the average age of the artists headlining the coming season is somewhere in the 70s. That can be droll. Last summer, for example, it was a thrill to see Pete Townshend the former leader of The Who, performing the complete concept album Quadrophenia with the Boston Pops. Known for his leaps and helicopter chords, guitar smashing and mad mayhem (remember drummer Keith Moon) this time he never left his feet. We missed lead singer the once- upon- a-time bare chested, Roger Daltry, noted for strutting the stage and whirling the mic. It seems he has toured with Pete but also takes time off and has had vocal issues. Andy Grammer of “Keep Your Head Up” and “Honey I’m Good” appears on Friday, June 22. Stephen Stills and Judy Collins will perform in the Koussevitzky Music Shed on Sunday, June 17, at 2:30 p.m. The tour shares music from Stills and Collins' 2017 release "Everybody Knows.” Comics Steve Martin and Martin Short appear September 2 and Bela Fleck and the Flecktones are slated for June 29. Other dates include NPR’s quiz show, “Wait Wait ... Don’t Tell Me!” with host Peter Sagal on June 21; Audra McDonald with the Boston Pops on June 24; and the NPR variety show “Live from Here” (formerly “A Prairie Home Companion”) on June 30. Marking the centennial of the birth of Leonard Bernstein there will be a lot of related programming throughout the season. For the second time in recent years Barrington Stage Company in Pittsfield is staging West Side Story which will also be performed by the Pops. 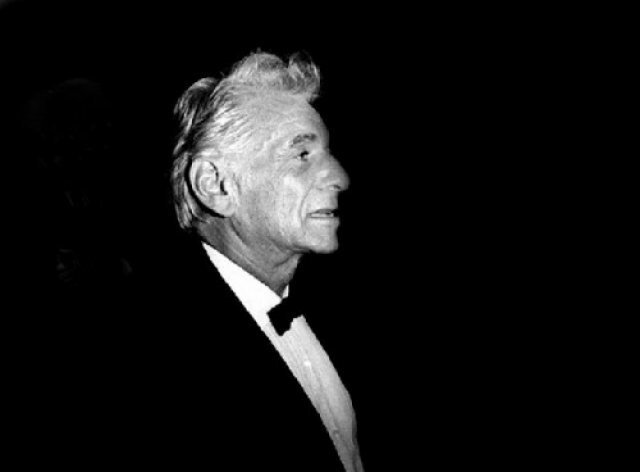 The tribute to Bernstein will end with a centennial celebration Aug. 25, hosted by vocalist Audra McDonald and featuring conductors Andris Nelsons, Christoph Eschenbach, Keith Lockhart, Michael Tilson Thomas and John Williams. Performers include McDonald, cellist Yo-Yo Ma, violinist Midori and singers Susan Graham, Isabel Leonard and Thomas Hampson, with the Tanglewood Festival Chorus conducted by James Burton. Season tickets go on sale on Sunday, January 28 at 10 am. The best seats for top events are likely to sell briskly.